When it comes to soft drinks, top brands for most consumers are often either Coke or Pepsi. Some can’t tell the difference between the two while others say that there are distinct attributes that set them apart. Specific differences noted would mostly be taste and imagery. In this article, we’ll talk about specifications that are unique to each brand and discuss further what differentiates Coke from Pepsi. Coke is the shortened brand name for Coca-Cola. It is a carbonated soft drink owned and marketed by The Coca-Cola Company. It has been sold for more than a century and is currently one of the most well-known brands in the world. To date, Coke comes in several variants and formulations but the original is branded as Coca-Cola classic. Its ingredients are carbonated water, high fructose corn syrup, sugar, caramel color, phosphoric acid, caffeine, and natural flavors. Coke is known and preferred by loyal consumers for its vanilla-like flavor and high carbonation content. The brand is also associated with its red packaging. Coca-Cola was invented in 1886 by a doctor and pharmacist from Atlanta named Dr. John S. Pemberton. He came up with a caramel-colored syrup and brought it to Jacob’s pharmacy. There, the syrup was mixed with carbonated water and sold to consumers for 5 cents a glass. At that time, they only sold around 9 glasses a day. Little did they know that, more than a hundred years later, it would sell around 1.8 billion bottles a day. It was Frank Robinson, Dr. Pemberton’s bookkeeper, who named the mixture Coca-Cola. Mr. Robinson suggested that the two C’s would look good in advertising. It was also noted that the original ingredients of Coke, which are kola nuts and coca leaves, became the basis for the name Coca-Cola. Kola nuts are fruits of the Kola tree which is native to Africa. Coca leaves come from a plant which is native to western South America. In 1889, the brand Coca-Cola was bought by businessman Asa Griggs Candler. Through his marketing leadership, Coca-Cola dominated the soft drink market throughout the 20th century. In 1919, a group of businessmen led by Ernest Woodruff bought The Coca-Cola Company and it was then listed in the New York stock market. At present, The Coca-Cola Company operates through several channels and works with bottling partners. Coca-Cola manufactures and sells the concentrates and syrups and is responsible for the overall marketing of the brand. They work with their bottling partners who in turn promote, package, sell, and distribute the final products to retail stores, restaurants, and vending machines all over the world. According to Forbes’ World’s Most Valuable Brands for 2016, Coca-Cola ranked 4th following other top brands such as Apple, Google, and Microsoft. The Coke brand is now closely associated by consumers with images of fun, happiness, good times, and sharing with family and friends. Pepsi is a carbonated soft drink produced and manufactured by PepsiCo. The brand has been around for more than a century and is considered to be the main competitor of Coke. 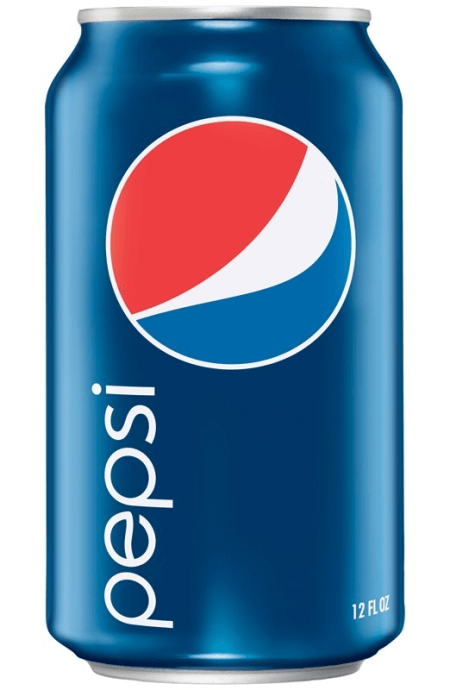 Pepsi comes in several variants or flavors and some are customized per market. Some examples are in Japan, where they launched Pepsi Sakura, and in Europe, where they have Pepsi Cappuccino. Ingredients of Pepsi, the signature cola flavor, are carbonated water, high fructose corn syrup, caramel color, sugar, phosphoric acid, caffeine, citric acid, and natural flavors. Those who like Pepsi often mention that they like the brand’s citrus flavor. The color blue is mainly associated with the Pepsi brand due to its packaging. In 1893 in New Bern, North Carolina, a new drink called “Brad’s Drink” was invented. It was formulated by a pharmacist named Caleb Bradham. He made and sold it at his drugstore. He wanted to create a drink that tasted good and helped with proper digestion and in boosting energy. Five years later, in 1898, that same drink was renamed as the popular soft drink we know today – Pepsi Cola. The revised name was based on essential ingredients in the recipe namely: pepsin and kola nuts. Pepsin is the main digestive enzyme that breaks down proteins. As the rivalry between Pepsi and Coke started to build up, Pepsi thought of a marketing tactic to pit it against its closest competitor and make people switch to the brand. Pepsi conducted blind taste tests in different stores and called it the “Pepsi Challenge.” Later on, this also proved to be an effective marketing campaign as sales increased for the brand. In the blind taste tests, it was suggested that more consumers preferred Pepsi over Coke. Overall, Pepsi is still outsold by Coca-Cola in almost all areas of the world with the exception of some countries with huge tie-ups with PepsiCo in major events. The brand has a high association with artists and celebrities as well as sports and sports events. So what is the difference between Coke and Pepsi? Coke’s original formula was invented in 1886 while Pepsi’s original formula came out in 1893. Both of the brands’ original ingredients contained kola nuts but Coke was also brewed from coca leaves whereas Pepsi contained pepsin. Coke is noted to have a vanilla-like flavor which is distinct from Pepsi’s citrusy taste. Coke has more sodium content than Pepsi. It also has more carbonation and is fizzier than Pepsi. In terms of packaging color, Coke is mostly red and Pepsi is blue. Coke is associated with sharing and good times with family and friends. Pepsi, on the other hand, is linked to well-known personalities and sports events.